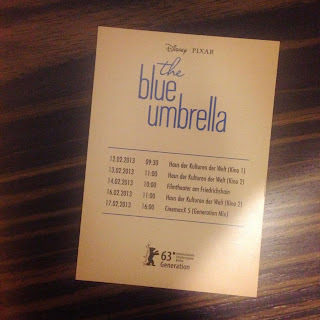 The Blue Umbrella made its official debut today at the Berlin Film Festival and from the looks of it, Director, Saschka Unseld is having a great time. 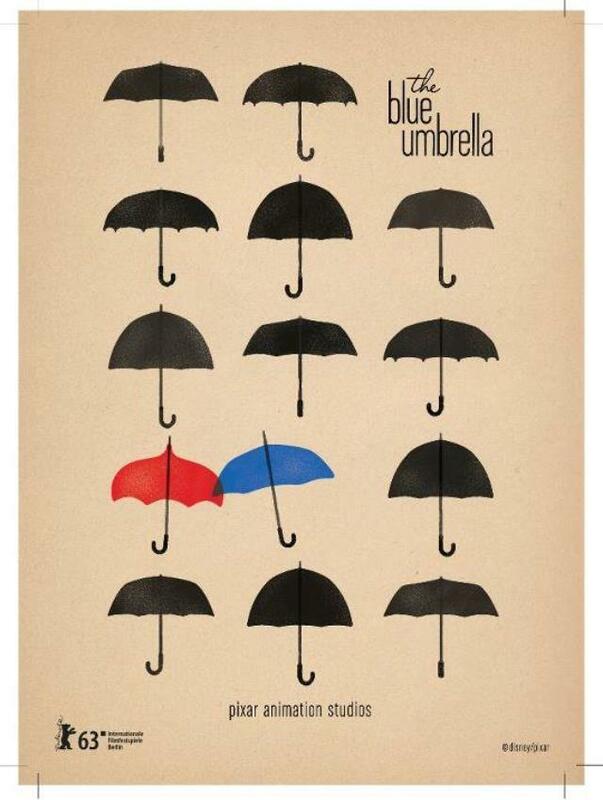 To kick off the day, the official The Blue Umbrella Facebook page posted, "Arrived in beautiful Berlin for the for the festival, if any of you are at one of the screening, dont hesitate to stay for the Q&A to ask your questions". Following that, Saschka posted an official reminder card of showtimes from the Berlin Film Festival. After the screening, with over 1,000 people in attendance, the guests were treated to an amazingly quaint and simplistic poster that could also be signed by Saschka himself. 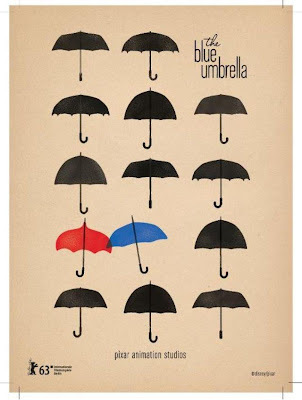 Doesn't this just scream to be framed and up on a wall? 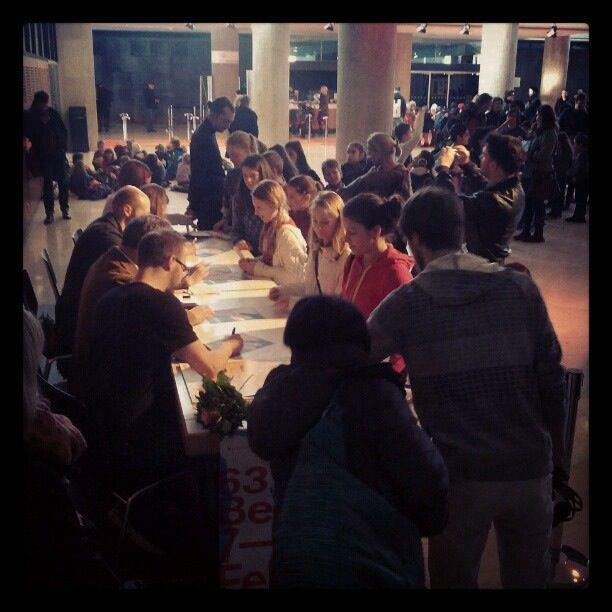 Finally, Saschka posted the following photo and noted, "The best audience ever is lining up for poster signings". For any of our readers that were in attendance, we'd love to hear about the event as well as the short itself - please contact us at info@pixarpost.com.